Delhi is to get a missile shield "soon", which the media says will be akin to that of Washington and Moscow. Going by past experience, the "soon" could be any number of months, even years. This time perhaps it could be little faster since the US has been specified as the source of procurement. The Defence Acquisition Council (DAC), chaired by Defence Minister Nirmala Sitharaman, has reportedly approved the 'Acceptance of Necessity' (AoN) for procuring the National Advanced Surface to Air Missile System-II (NASAMS-II) worth around $1 billion from the US. 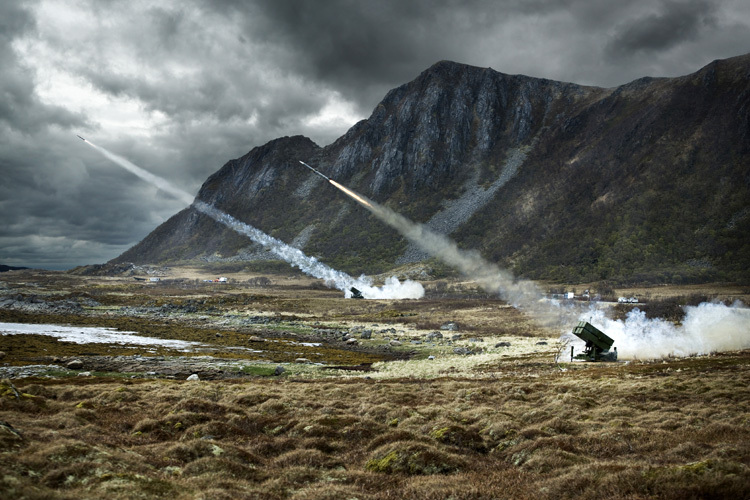 NASAMS-II, operational since 2017, is an upgraded version of NASAMS air-defence system developed by Norwegian company Kongsberg Gruppen in collaboration with Raytheon (for missiles) for the Royal Norwegian Air Force fully operational since 1998. The upgrades consist of improved radars with broader frequency, variable rotation speeds. Vehicles carrying the radars can be connected through Multi-Rolle Radio or TADKOM. The electro-optical MSP500 sensor is equipped with laser rangefinder, TV camera and upgraded thermographic camera. NASAMS battery consists of 12 missile launchers (LCHR), each carrying 6 x AIM-120 AMRAAM missiles, 8 x AN/MPQ-64 F1 improved Sentinel X-band 3D radars; one fire control centre (CTOC), one electro-optical camera vehicle (MSP500) and one Tactical Control Cell (TCC) vehicle. Depending of which version of AIM-120 AMRAAM missiles India procures the range could be AIM-120A/B: 55–75 km (30–40 nmi) • AIM-120C-5: >105 km (>57 nmi) • AIM-120D (C-8): >180 km (>97 nmi) – all ranges calculated for head-on encounters with fast moving aircraft. NASAMS was exported to the US and NASAMS-II has been exported to Finland, the Netherlands, Spain, Oman and Chile, as per Kongsberg Gruppen. 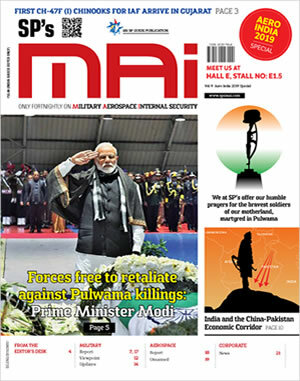 MoD's aim reportedly is to make the National Capital more impregnable against military or 9/11-like terror attacks from aircraft, missiles and drones; therefore, NASAMS-II as new missile shield to replace older air defence systems, reconfiguring the VIP no-fly zone and refining the protocol to shoot down rogue planes. Simultaneously, as part of the overall Delhi Area Air Defence Plan, work is on to further realign the "VIP-89 area" over New Delhi, which includes Rashtrapati Bhawan, Parliament, North and South Blocks, as well as shortening the decision-making loop to shoot down planes that may have been hijacked or commandeered for use as missiles against strategic targets. India is deploying multi-tiered air defence network to fully secure its airspace from incoming fighter aircraft, missiles and drones. According to a MoD official, the NASAMS-II system is to complement other systems like the S-400 Triumf being procured from Russia. Apart from imports, India is also developing its indigenous Ballistic Missile Defence (BMD) system. Going by media reports, Phase-I of BMD is expected to be deployed 'soon' (???). BMD is based on double-tiered system consisting of two land and sea-based interceptor missiles, namely the Prithvi Air Defence (PAD) missile for high altitude interception, and the Advanced Air Defence (AAD) Missile for lower altitude interception, cumulatively aimed at intercepting incoming missile launched 5,000 km away. The system also includes overlapping network of early warning and tracking radars, as well as command and control posts. PAD was tested in November 2006, followed by the AAD in December 2007. With the test of the PAD missile, India became the fourth country to have successfully developed an anti-ballistic missile system, after United States, Russia, and Israel. Also on March 6, 2011, India launched its indigenous interceptor missile which destroyed a 'hostile' target ballistic missile, a modified Prithvi, at an altitude of 16 km over the Bay of Bengal. There are a number of issues that need examination with reference to the plan of procuring NASAMS-II. Why is the commissioning of indigenous BMD being delayed, or is the delay by design to facilitate systems like NASAMS-II?. Even without the indigenous BMD deployed, the IAF is already equipped with Akash missiles having 25 km range to beef up existing air-defence capability – is this not adequate to cover the gap till indigenous BMD is deployed? For drone attacks like the recent one in Venezuela are we contemplating firing AMRAAM missiles – what about laser defence against drones and DRDO's 'Aditya' under development for the past several years? Why are we not dealing directly (or also) with Kongsberg Gruppen of Norway rather than US only, when Raytheon's collaboration with Kongsberg Gruppen is only for the AMRAAM missile and Kongsberg Gruppen is exporting the NASAMS? Indigenous BMD must be deployed but have we considered that by the time NASAMS-II is procured and deployed, it would be outdated against hypersonic missiles and aircraft already developed by China? Could this $1 billion be better used for modernization of armed forces considering what has been discussed above? In 2017, China claimed it had successfully developed hypersonic ramjet engine after a series of eight test flights; ready to be mated to a new generation of air-to-air missiles. Hypersonic implies engine moving at more than 6200km/h. According to western analysts, these new Chinese long-range, super fast missiles may be "undetectable". On August 5, 2018, Chinese reported China has successfully tested its first 'waverider' hypersonic test vehicle that can carry nuclear warheads and breakthrough any current generation anti-missile defence – the Xingkong-2 was tested on August 3. There is tendency to consider Chinese announcements partly hyperbole. However, last year, Russia tested its new hypervelocity missile system, Zircon, believed capable of travelling about 7400km/h. Talking about new "invincible" Russian weapons, President Vladimir Putin recently stated Russia has successfully tested a cruise missile with a nuclear-propulsion engine, which would fly at a low altitude and follow an "unpredictable flight" path to avoid US missile defence systems. Putin added, "Every single weapons system discussed today easily surpasses and avoids an antimissile defence system." With the penchant of passing on the blame of imports to Armed Forces, it is quite logical that the requirement of NASAMS-II was projected or supported by the IAF, the Defence Minister may also go public as is happening these days in run up to general elections. Why would IAF not want it given that it will be improvement on the existing one? But isn't the Defence Minister and her entourage of bureaucrats in MoD responsible for long-term planning, indigenization, conserving finances albeit the latter appears to be in converse with Defence Minister announcing $3 trillion from defence for four strategic railways. Procure and deploy S-400 Triumf earliest, and; focus on developing air defence against hypersonic missiles and aircraft in conjunction strategic partners – this research must integrate pan-India resources. In all this, we must remember that the Chinese concept in terms of drones and missiles is 'swarm attacks'. We must prepare accordingly.